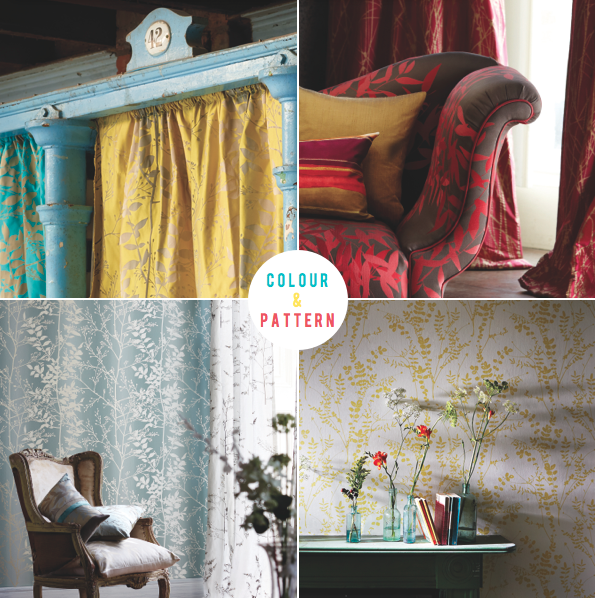 It's great to see this refreshing approach to product styling by Harlequin, whose new collection 'Kallianthi', designed by Clarissa Hulse, contains a wealth of pattern and colour across fabrics and wallcoverings. 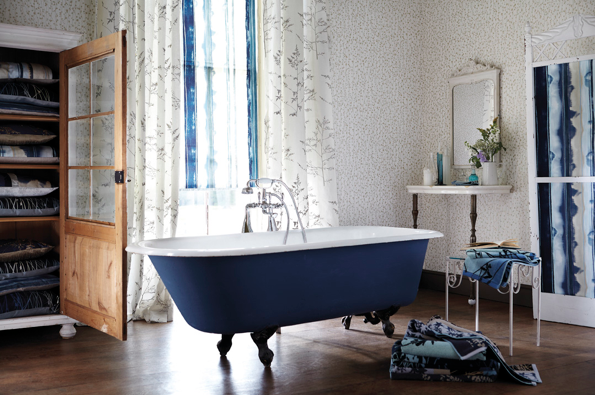 The name 'Kallianthi' means 'wild flowers' in Ancient Greek and reflects the enchanting botanical-inspired designs. Inspired by long walks in the countryside and her half-Greek heritage, Clarissa's range rejoices in glorious fusions of bright and bold, offset by pared back neutrals: magenta, paprika, coral, stone, citrine, indigo and many more beautiful colours feature across the range. 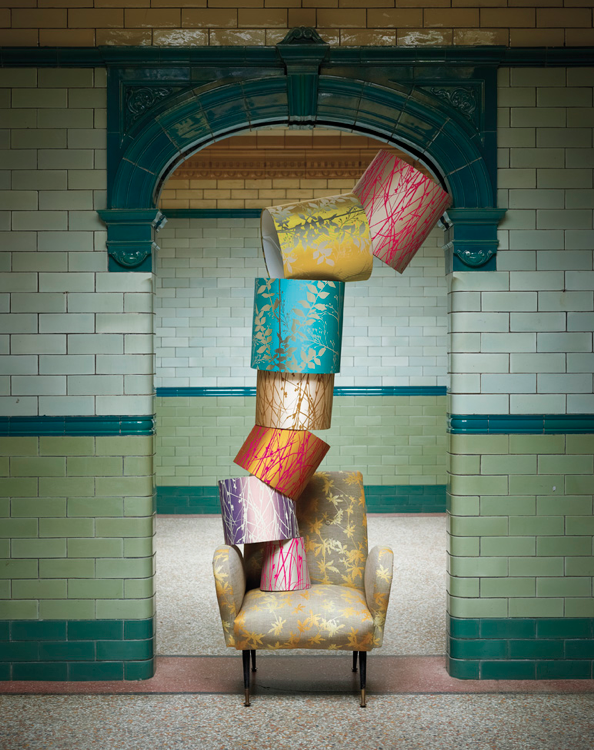 The collection launches at Decorex 2011. 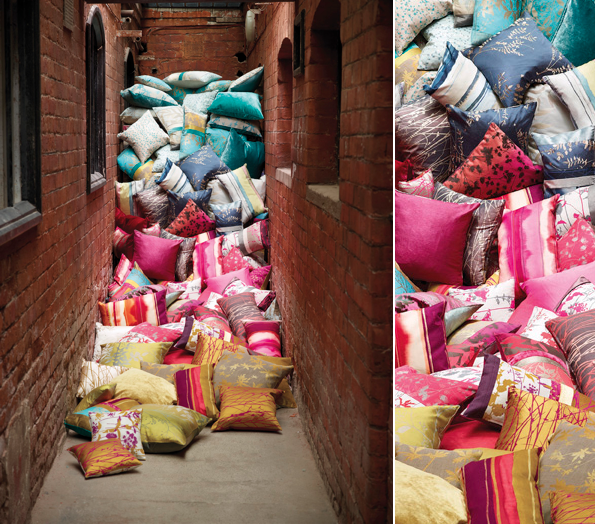 I love all the pillows piled together as well as those amazing lampshades! ohhh those pillow photographs. Love the turquoise, orange, red and pink! They are hot. 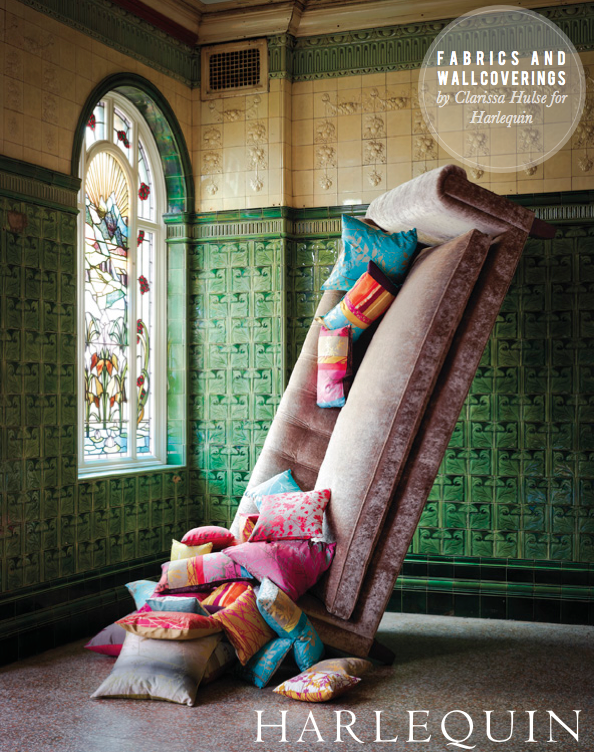 The tumble of pillows really caught my eye, as did those lampshades doing a balancing act. Fun! WOW! WOW! WOW! Stylishly Styled! Truly impressed! So many fun colors!!! I especially love those lamp shades! The yellow and the hot pinks ones are my faves! Wow! I just LOVE THIS! All I want to do is dive head first into that pile of beautiful, luxurious pillows - exactly what a pile of pillows should make you want to do. Great post! 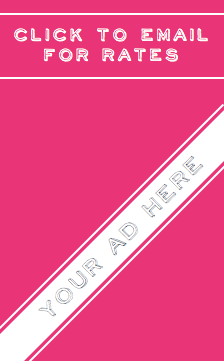 so bright and bold! Pretty! Love that lamp shade image esp! Awww There was a bath just like that in my house when I was a child except ours was drak green with claws on the feet. It was the best bath ever! And I just love the wallpapers. Just found your blog and can't wait to explore more. 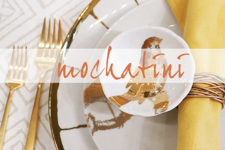 These photos are so amazing- LOVE the styling and all the color!!! I just love all the images! Looks like it would have been a very labour-intensive shoot, but heaps of fun. Fabulous styling! The house in the first picture with the dark green tiles reminds me of a fabulous house in Holland Park I went to- not sure if it's open to the public- you would love it- all tiled- peacock colours- fabulous! @Hill Country House Girl - Thank you! @Modern Country Lady - Those tiles sound divine. Ooh I would like to see these in person..very pretty. will, these are beautiful!!! my favorite is the one with the pillows all piled up in that narrow hallway. just brilliant styling. these pictures are sooo amazing!!!! Fantastic! 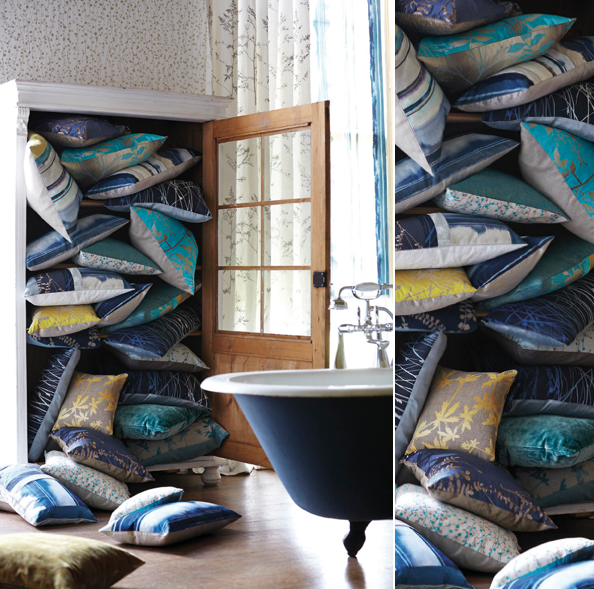 I love to see the lush overflow of all those pillows - its a dream! 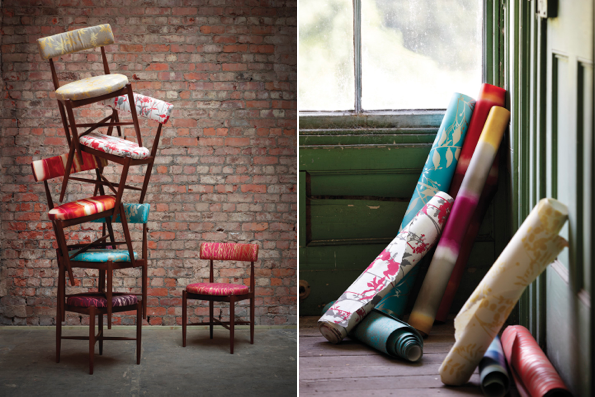 Fantastic styling and photography...not to mention gorgeous product! I love these images! so creative! Love all this color and pattern, such great styling on these shots too. Love those side chairs in the mix of prints. Wouldn't they be fun around a big dining table? I wish I knew where they sold in the States! !